Do you know what a file hash is? It’s nothing to do with food or illicit substances. A file hash is a mathematically generated finger print for a file. 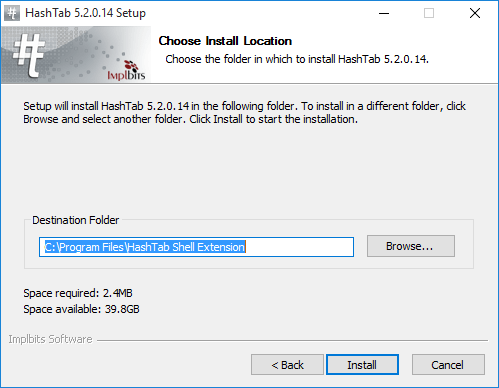 If you want to make sure a file has not been tampered with, or corrupted during download or transfer, checking a known file hash is a great idea. 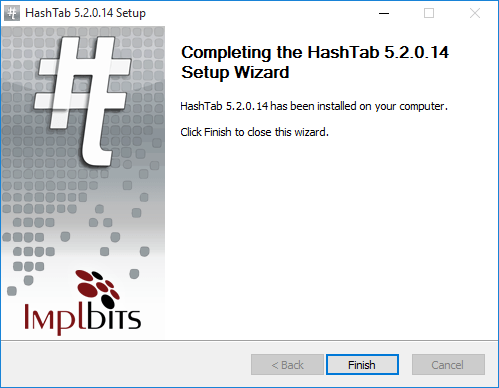 One easy way to check file hashes on your machine is using HashTab. This handy little tool adds an extra tab to the file properties window. The extra tab shows the file hashes using three different hashing algorithms, allowing you to quickly check the files integrity. To download HashTab, you need to visit the page here. Click on the “Download Now!” button and enter your e-mail address. A download link will then be e-mailed to you. Simply click on the link to download the program and then choose “Open” or “Run” in your browsers download manager. Enter your administrator password and/or click “Yes” when User Account Control prompts you. The following window will then appear. Click on “Next >”. The following window will then appear. 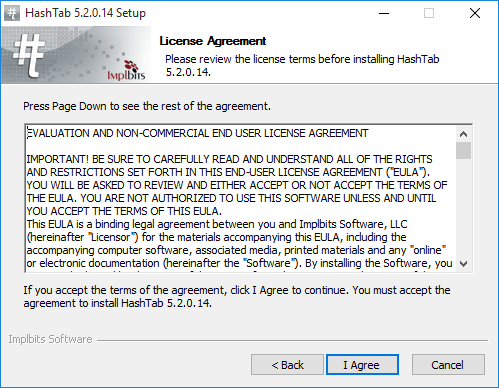 Scroll down to read the license agreement and if you agree, click on “I Agree”. The following window will then be displayed. 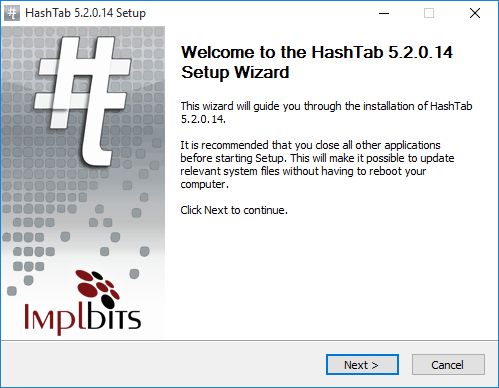 Here you can choose where on your computer you would like to save the HashTab files. The default location is fine for most users, so simply click on “Install”. The following window will then appear. Installation is now complete. Click on “Finish” and you can proceed directly to the next tutorial.